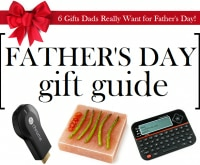 Father’s Day is just around the corner! 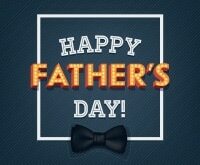 If you want to show dad how much you value him, consider giving him a gift from the heart – and the family! 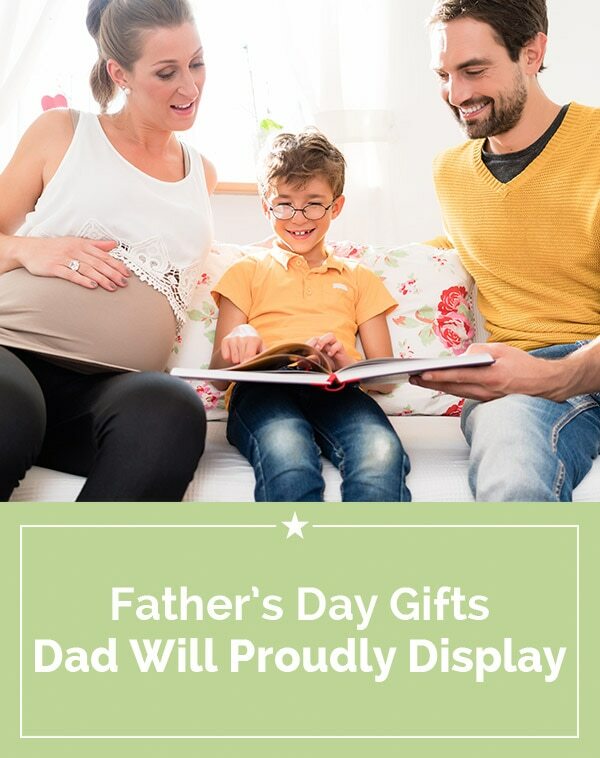 Photo gifts are a cool way to quickly and affordably give dad a one-of-a-kind present, plus you can update his favorite item every year or buy different photo gifts so he can watch his amazing family grow up each and every Father’s Day. 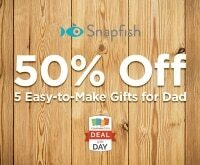 There’s a ton of great presents for every dad at Snapfish, but it’s time to get moving – the last day for regular shipping is June 6. Good thing creating your custom photo gift is a total snap! 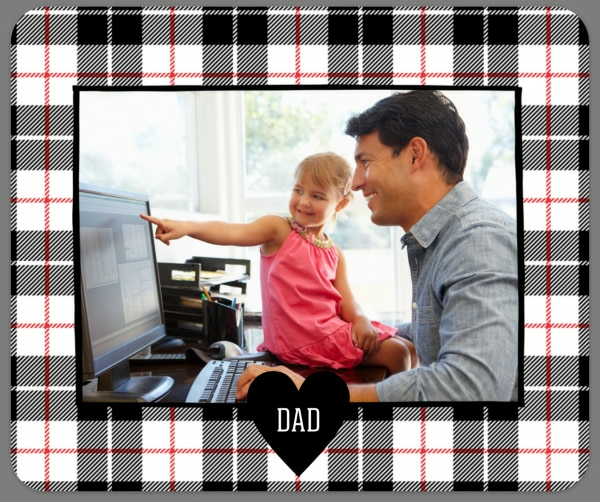 Whether he’s busy in your home office or spending his days in front of a screen at work, dad can always use a loving reminder of life beyond the virtual world. 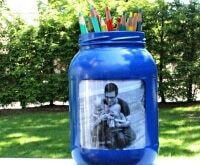 Use a single photo of the kids or create a collage – at this price point you can even create seasonal ones he can switch out! 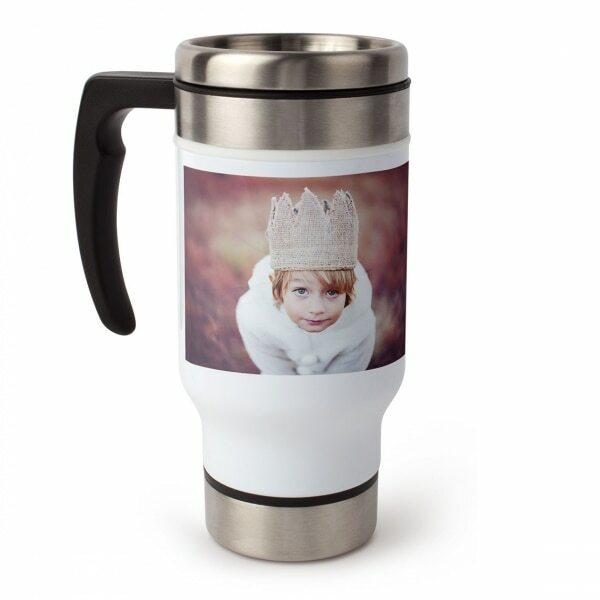 If his day doesn’t really start till he’s got some caffeine in him, make mornings that much sweeter with a customized travel mug. Add a favorite photo or two, or include a funny quote one of the kids have made about how dad needs his morning caffeine fix! Fast forward 20 years – is he the type to be welling up on his kid’s wedding day? If so, help him get his tears out now through a sweet photo book. Showcase his first year as a dad, the way your kids have grown up already, or just include the highlights from the past year. 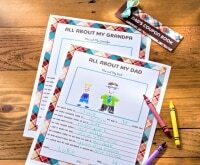 This is a gift idea that keeps on giving – you can easily create one year after year to create a library of his dad life. He’s there on the sidelines rooting on the kids, or he’s saving seats at a recital well before the show begins. 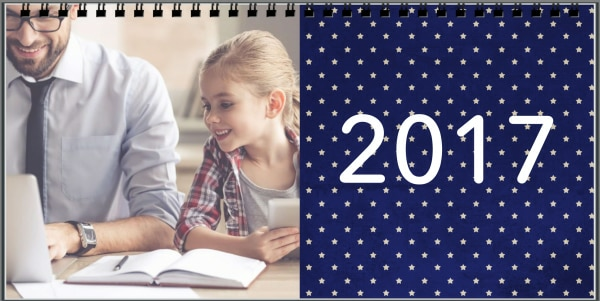 If dad is your kids’ number one fan, help him keep their practices and big events organized with a cute desk calendar featuring the family. Not only is it a cool conversation starter for anyone that pops into his office, it’s a reminder of what he’s got to look forward at the end of the work day. Sure dad gets to control most of the décor in his man cave, but tucking a little piece of the family in there is a great way to remind him to emerge from his den every now and again! A cuddly custom throw pillow is a subtle way to add a touch of homeliness to his favorite hideaway. His car was his pride and joy – until the kids came along. 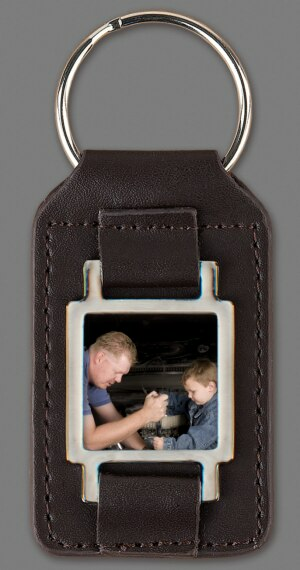 Now he can marry his two great loves with a rugged leather keychain that’s equal parts macho and memorable. Adding an eye-catching photo is also perfect for the dad that tends to misplace his keys – he’ll never want to lose them again! There’s never been a BBQ he hasn’t been dying to get his hands on – now you just need to make sure all that grilling goodness doesn’t end up on his clothes. 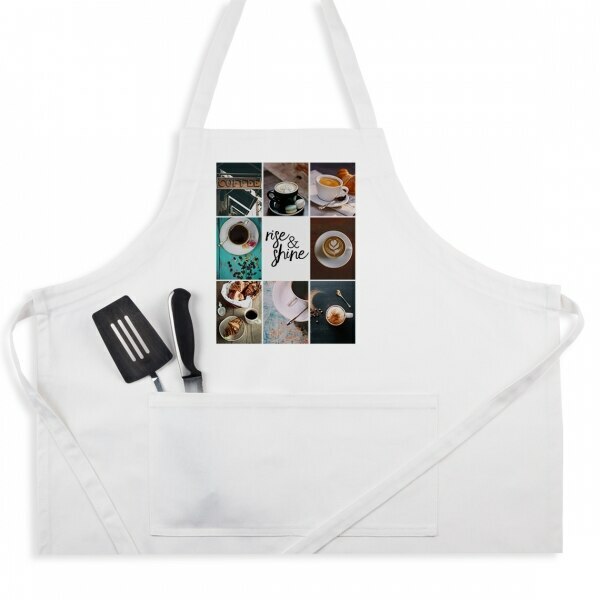 A photo apron is the one time he’ll truly embrace looking a little silly, so go wild and create a fun photo collage of all your favorite summer memories! Whether he’s traveling for work or is known to steal away for a weekend golf trip with his buddies, know that his heart is never far from home. 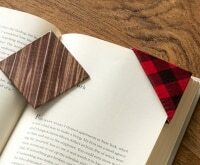 A custom photo luggage tag will give him something to look forward to even when dealing with airport headaches – plus it’ll make identifying his bag a snap so he can get home that much more quickly. Maybe he’s got a weekly poker game with his guys. Or perhaps he simply enjoys spending an afternoon playing ‘Go Fish!’ with the kids. 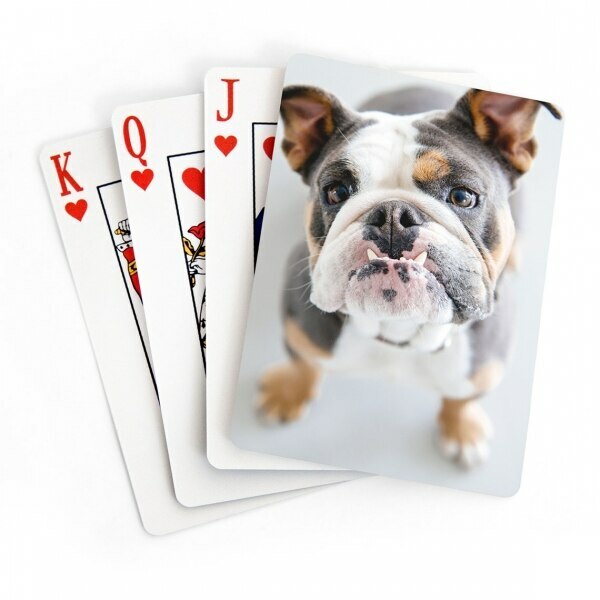 Either way, a custom set of playing cards is a cute way to ensure your deck stands out from the rest – just make sure he has enough custom decks if he’s playing games that require more than one set! 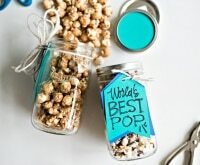 If his idea of family fun is visiting a museum or spending a rainy afternoon playing a board game, this gift idea is perfect! Gather the whole crew to assemble a puzzle of a cherished family memory. With 252 pieces it’s the perfect challenge for the kids that’ll also earn him some valuable family time.